School Days, School Days! Dear Old Golden Rule Days! 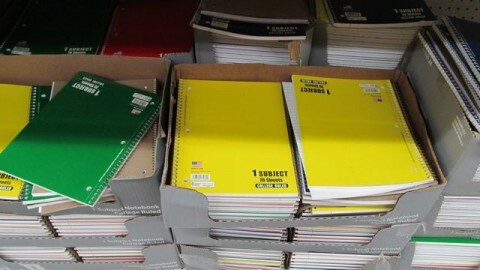 WITH the Halloween season already upon us, can “Back to School” shopping be far behind? 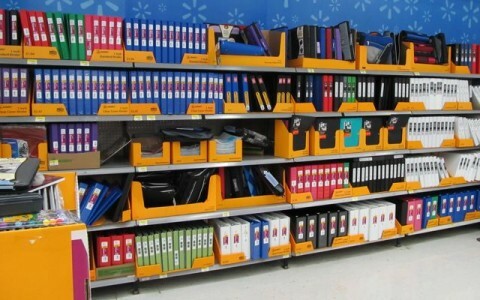 Of course, Back to School season has already started, this second to last week of July, at your neighborhood Walmart. 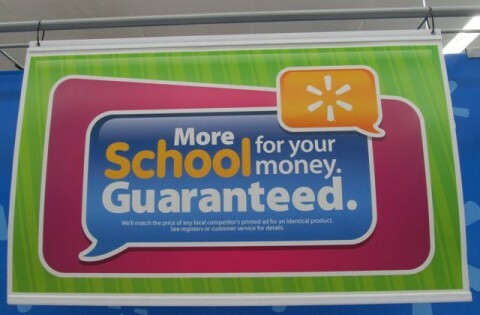 Actually, it probably started a few weeks ago, probably before even school was out, but despite what you think of me, I don’t go in Walmart but every few months, so how the hell would I know for sure? 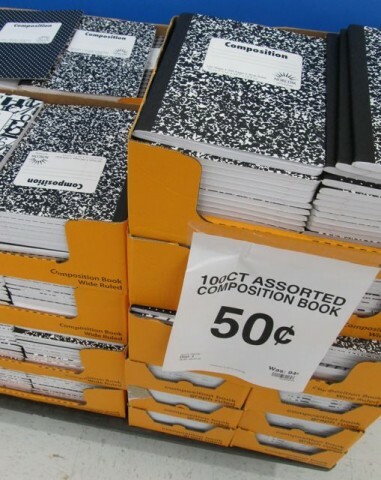 The thing about Walmart and their big Back to School push (retail term) is that – hate them as we’re morally obligated to – they do have some really cheap deals on a lot of stuff. Take for instance these notebooks! What would you pay for one? No, come on – what would you pay? One subject, 70 sheets. Go ahead – tell me. Well, you’re a fool then! 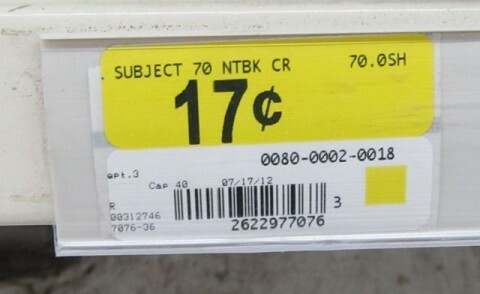 You’re a fool for paying as much as you just said, because at Walmart, they sell these babies for just seventeen cents American! No, in this case I’m not a filthy liar! Look! Look! 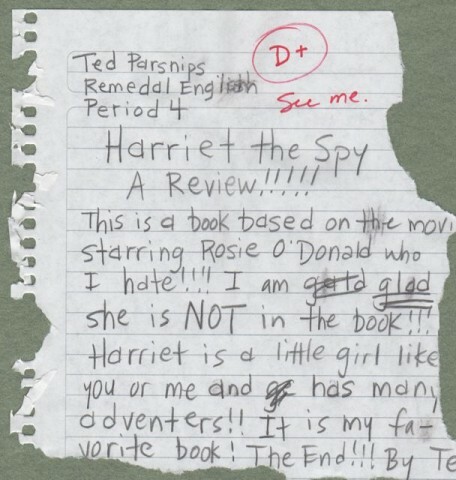 Above: An example of A+ level writing marred by D+ quality spiral-bound notebook paper. Don’t make the mistake I did – I nearly had to repeat 10th grade because of this! Also, do kids even hand in assignments on paper any more? It’s not that I think everything is handed in via email, it’s just that I have such a low opinion of anyone significantly younger than me that I presume even if kids today (Kids today…!) are assigned anything on paper, they just don’t bother to do it. 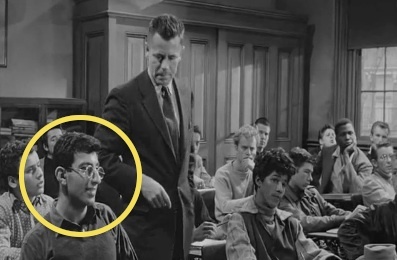 Come on, we’ve all seen “Blackboard Jungle!” It featured a young Jamie Farr! But whether you’re a stupid kid or someone older who’s no longer legally allowed to attend or go within 500 feet of high school like myself, you see these for 17¢ and you buy a few and then you stick them in your desk drawer at home and when next Back to School season comes around, you buy more and add them to the wad, not realizing you already had a bunch. How much would you pay? Wrong sir! Wrong! As it turns out, you’d only pay fifty cents! Fifty cents American is all! But again, I ask: Composition books? Has anyone since about, what, 1920 actually used these for their named purpose? The pages are in there permanently. They’re not perforated, brother! They’re not even individually spirally bound. They’re double-leaf pages so if you somehow manage, like an idiot, to tear out page 1-2 cleanly, page 199-200 is now loose, too. Great. As we further dumb down primary and secondary education – especially here in Los Angeles! 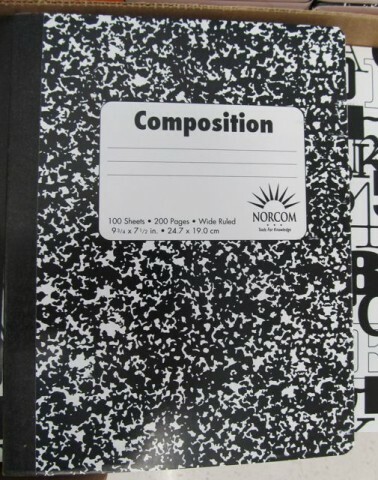 – is there really a need for composition books? Correct me if I’m wrong, but they’re for compositions! Who’s composing anything in grade school, junior high (oh, excuse me, “middle school” – ooh la la!) or high school that’s going to be hand-written across 200 pages?! So why are they still selling these things in the 21st century? 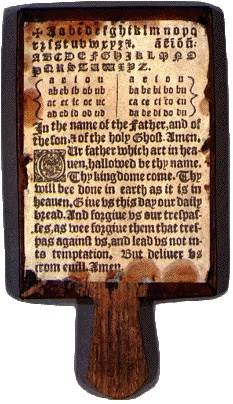 Why don’t they sell colonial-era hornbooks in bulk while they’re at it, too? And ink wells and Buster Brown hats and book straps!Why doesn’t Walmart sell those things too? 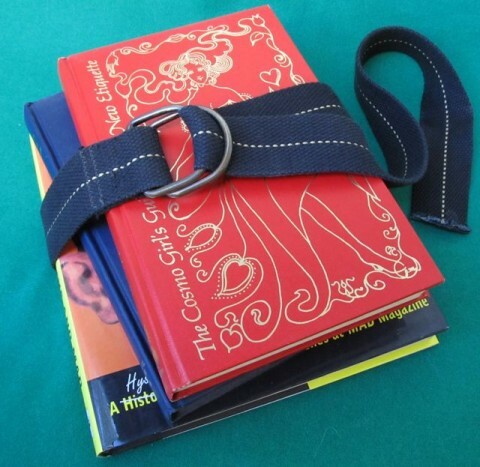 Especially book straps – that’d piss off about a thousand annoying sellers over there on Etsy, heh heh! Yet you and I, we go to Walmart during their Back to School event (industry term), and we poke around and find stuff we think we can use because it’s so cheap! 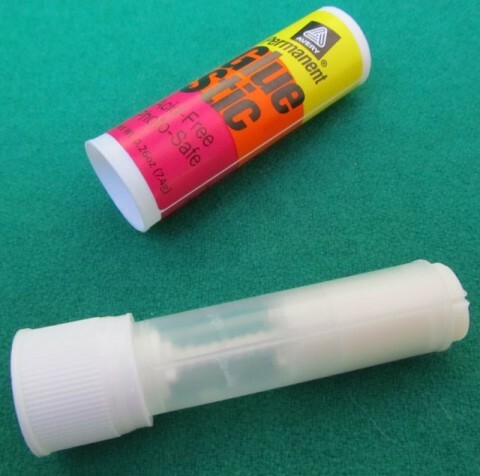 Two glue sticks for a quarter?! We’ll take eighty! And then what happens? After a month and a half, we’ve only used one and the other seventy-nine are dried up and completely inedible. Posted by Ted on July 25, 2012, 6:16 AM.